Caithness, the Kingdom of the Cats, is also known as the lowlands beyond the Highlands. Indeed not many people realise it’s possible to travel a further hundred miles north of Inverness, yet still be on the mainland. And those who do, often see it as just a stepping stone to Orkney. 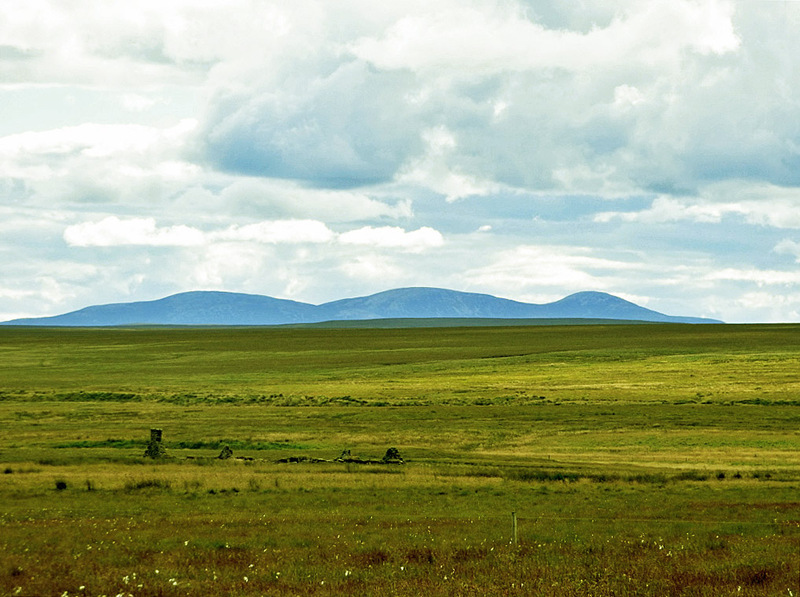 After all, what could such a flat, treeless, rugged county have to offer, beyond fifty shades of brown? 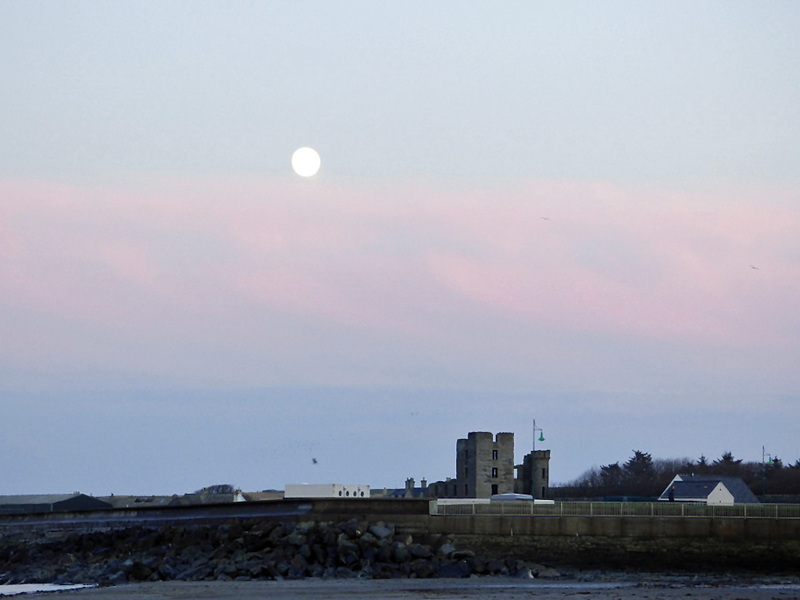 Try curious wildlife, big skies, open spaces, sandy beaches, rugged cliffs, northern lights, sparking coastlines, friendly locals. And that’s just for starters. On the same latitude as Juneau, Alaska, and named for the Pictish Kati tribe, Caithness was historically cut off from the rest of Scotland, so has a Viking, rather than Gaelic, heritage. More than half of Caithness is given over to peat bogs, home to plants, birds and insects, and includes the famous Flow Country, one of the last great European wildernesses. History is everywhere. 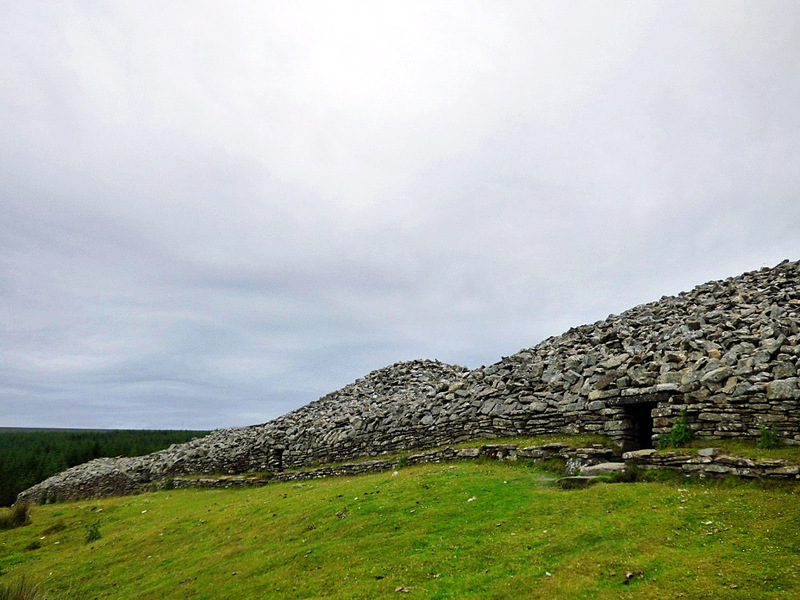 Brochs, standing stones, burial chambers, ruined castles and abandoned croft houses stand stark against the skyline. The Bronze Age burial cairns at Camster are over 5000 years old – older than the Pyramids and among the oldest stone monuments in Scotland. And Whaligoe Steps are a man-made stairway of 365 steps down a cliffside, built in the mid-18th century so fisherwomen could haul up creels of landed fish during the herring boom. 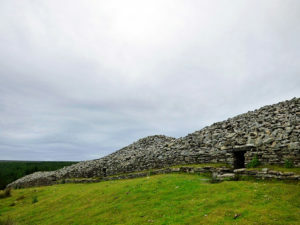 Both sites are accessible, so visitors can really feel they are a part of Caithness history. For those who would rather be indoors (and knowing Caithness weather, it’s always useful to have some indoor activities planned), there is a heritage centre at Dunbeath, a croft house museum at Laidhay, and a Viking museum at Aukengill. The two large towns in the county – Wick and Thurso – have their own museums. 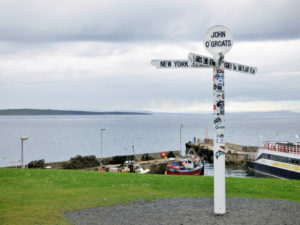 Wick has a Heritage Centre, which focuses on the 19th century herring industry that drew many inhabitants to the coast, while Thurso has Caithness Horizons, which tells the story of Caithness from 380 million years ago up to the present day, and includes a history of the Dounreay nuclear power plant. 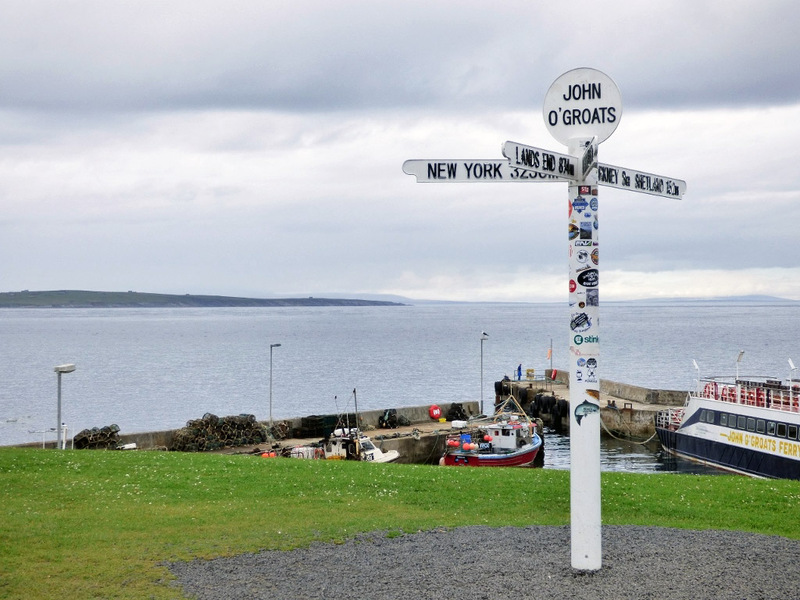 John O’Groats – incorrectly labelled the most northerly point in Britain – has some lovely cafes, plus gift shops and an art gallery. A short drive from John O’Groats takes you to Duncansbay Head, where you can walk over the moorland to the famous Duncansbay Sea Stacks, and a seabird colony which is home to fulmars, gulliemots, razorbills and puffins. If you want to visit the true most northerly point, go to Dunnet Head, a few miles along the coast, then walk along Dunnet’s stunning three-mile sandy beach. Pop into the visitor centre for information on local wildlife, then head to the award winning Rock Rose Gin distillery for a sample, or for some fabulous gin-themed souvenirs. Feeling adventurous? Try a surfing lesson in Thurso, which has some of the best surfing conditions in the world, and has hosted the world surfing championships. Or head to Wick and take a trip on the Sea Coast Geo Explorer, where you can get up close to seals, seabirds, lighthouses and sea stacks. If you’re feeling very fit, hike to A’ Mhòr Bheinn (Morven), the highest of only three mountains in Caithness. The view from the top is breath-taking, but not for the fainthearted. Even seasoned mountain climbers claim to have struggled with Morven’s untamed slopes. If you’re hungry, try the Captain’s Galley at Scrabster for fresh seafood just across the road from the harbour, or the Park Hotel in Thurso for delicious, local produce. Mackay’s Hotel in Wick, and the Old Smiddy Inn at Thrumster are both also popular with locals and tourists alike. The Comm Bar in Thurso usually has folk music on a Wednesday night, as well as a good selection of ales and whiskies. Be sure to try both locally distilled whiskies – Old Pulteney and Wolfburn. 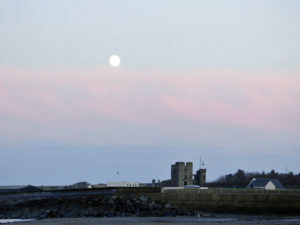 For fans of the Royal Family, the late Queen Mother’s much-loved holiday home – the Castle of Mey – is open to the public throughout the summer, and also has a tea room, animal centre and visitor centre. 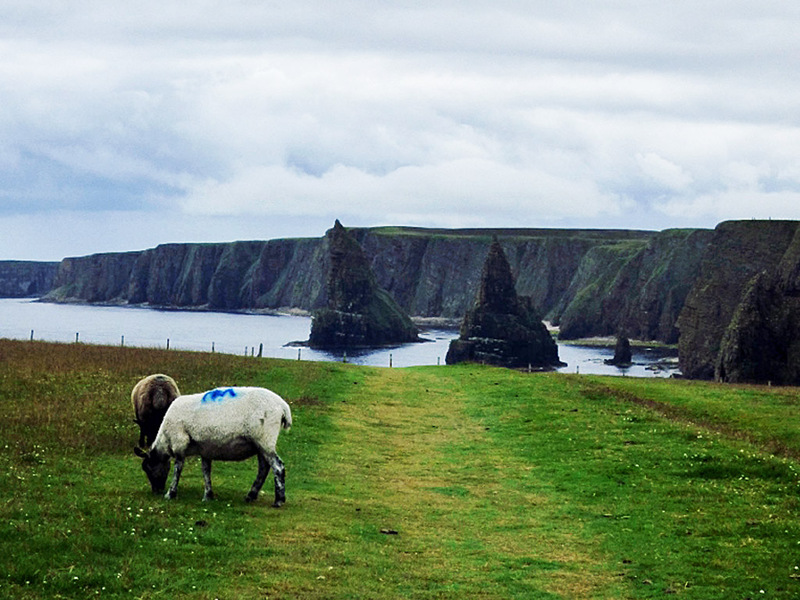 Caithness is a glorious mix of highland and lowland, of Norse and Gaelic, of bleakness and beauty. Being a four hour train journey north of Inverness (two and a bit hours by car), means it is often overlooked. But if you fancy some solitude at edge of the world, there will always be a warm welcome in the Kingdom of the Cats. POSTED 5th NOVEMBER 2016 by STEVE HANSON on behalf of ANDREA WOTHERSPOON. The photographs were supplied by the author after the competition had been judged.